TEMPER Box-Office Report: Young Tiger Jr NTR and Kajal Agrawal starer Puri Jagannath directorial, Bandla Ganesh Production Temper movie successfully completed 25 days run at box office. 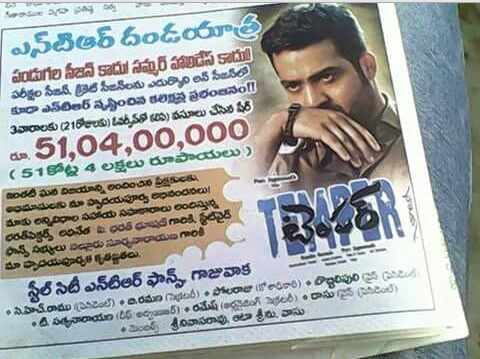 On its 24 days run Temper has collected around 43 Cr and stands at 13th place in the chart of highest grossers for Telugu Film Industry. But, Only Producer Bandla Ganesh has the right to confirm on this fans report.